We’ve been in the business of pest removal for 30+ years, so we’ve learned a thing or two about what makes pest services companies great, not so great, and downright terrible. At 603 Pest, we promise integrity, satisfaction or your money back, and professional service is a given. The spring season is upon us, and with it comes the bugs like ticks, spiders, carpenter ants, springtails, mosquitoes, termites, ants, bees and wasps. Home owners and business owners alike will be looking for New Hampshire pest control companies to help them protect their homes and business reputations. But where on Earth do you start when hiring the right company? Here are 5 things you should look for and expect from a pest control company you can trust. A good pest control service with an informative website will make you feel at ease – and there’s a reason for it. Extensive knowledge about pest removal should be conveyed on the website, and there should be a comprehensive guide to the pests the company deals with. What diseases do ticks carry? How do you know when you have a mouse problem? We want you to feel comfortable and know what to expect when you work with 603 Pest; and of course, if you have questions, we’re only a click or call away. Once you find a reputable New Hampshire pest control company, you should then make the call with a goal of setting up an inspection. A lot of companies will sell you over the phone, which can lead to pest misidentification, pricing confusion, and sheer frustration. At larger pest control companies, you may be relying on a sales person in a call center to relay info to a local branch then to a tech. It’s ok to ask for a quote or price but be sure to set up an inspection before agreeing to treatments. 603 Pest always starts with a FREE inspection to confirm the presence of pests, to correctly identify what we’re dealing with (it isn’t always obvious!) and to learn about you, and your home or business, to customize the treatment and approach. 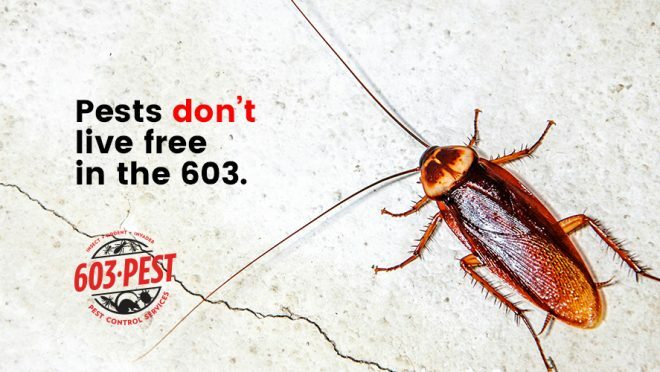 With 603 Pest, you’ll work with knowledgeable professionals every step of the way. So, you were impressed on the phone and booked an inspection and now the inspector is at your door. How do you tell the difference between an awesome, well-trained tech and a glorified sales person? First, ask to see a New Hampshire Pesticide Applicators License. He or she should have at least an F1 level, which will show that your pest pro has some knowledge of New Hampshire laws and regulations. Be wary of unlicensed pest control techs. They may still be qualified, but you are right to wonder why the pest tech didn’t deem it important to get these important certifications. And if you are one of the lucky ones and the tech discovers the pest breeding area during the inspection, treatment can begin immediately, saving you time and money… and reducing your case of the willies. If you ignored everything else in this blog please do not ignore this – talk about price in detail with your tech! If the inspector tries to bundle other services that you did not request, it is a red flag. For example, bundling termites and carpenter ants together (when you only have termites) adds unnecessary cost. Some companies have sales people trained and encouraged to up sell. Some companies will also offer to finance your services for one low monthly price. This is fine, but make sure you check the annual percentage rate, and ask about how price increases are handled by the company (i.e. are you notified by letter prior to the increase?). And always ask about specials and promotions, like the ones you can find here. Get it in writing! Your technician should let you know a few things verbally and in writing. These things include what was found, materials used, how to prevent future infestations, and what to expect on the next treatment. You should feel completely satisfied and comfortable with your technician. If you feel there is something you need to know about the service or something your technician may have overlooked you should feel comfortable enough to ask your tech before or even after you sign the service report. At 603 Pest, we end each service with the question “Are you satisfied with the service that I provided for you today?” The feedback that we have received from asking this question has helped us understand and deliver services and treatments you deserve and expect. Looking for a Southern New Hampshire pest control service? Check out our service areas! I totally agree with what you said about a pest control service having a good and informative website where you can find basic information about them. You certainly would like to hire someone that is reputable and can provide quality service. Their website can show their license and accreditation which means they are legal to operate their business. You may also want to find out how long they have been in the industry. This would indicate that they have experienced and professional staff who would be more than willing to address your concerns. If I were to hire pest control, I would definitely take this into account. Thanks. It was helpful when you mentioned that I should set a date of inspection so that the company will be able to truly figure out the type of pest that they’ll be dealing with. We’ve been hearing a lot of squeaking noises on the walls, and I noticed that a few boxes of cereals and food packets have been chewed open. I am quite sure that we’re dealing with mice, but it’s still good to be sure. Thanks a lot! I’ll keep this in mind. I liked that you mentioned how an in-person inspection would be important to avoid pest misidentification, pricing confusion, and sheer frustration. I’d be sure to keep this in mind when looking for a pest control service. I recently found a potentially empty shell of a cockroach in our attic which sent chills down my spine. That is why I’m looking for a pest control service in our area ASAP. There’s nothing more I hate than seeing a cockroach and having seen an egg might be a sign that they’re ready to pop at any moment now. Thanks for the help to tips to ensure that I find a good pest company that would diminish these roaches! I’ve been wanting to get some pest control for our home, and I think that being able to know what to look for in a company would be useful information for me. I’m glad that you talked about how you want to hire a company who has an informative and professional website. I think that being able to get some quality pest control is important, but it’s also good for us to be able to get information from them when we need it! Thanks for the tips! I like what you say about finding someone with the right certifications and Licenses. It’s so important that they know the right laws and current safety practices. We need to get our home inspected for pests so I’ll make sure I find someone that is up to date and can keep me safe. I like how you mention that it is important that the pest control specialist comes to your house for an in-person meeting. I know that for me it can be hard to give someone an accurate description of my house over the phone. In the future, when I need to get rid of pests I will have the specialist visit my house before he gives me a quote. 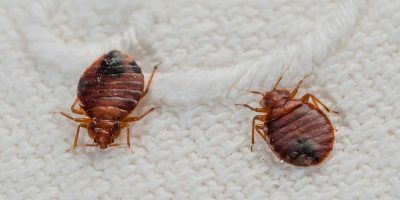 It’s great that this article talks about finding a pest control company that has an informative website in order to help you understand their services and feel at ease with them. This could be important to ensure they can properly handle the type of problem you have. Their website could also provide you with other useful information, such as their location, how to contact them, and their hours, to make sure that they’ll be available if you have an emergency no matter what time it is. Thanks for the help to find a pest control company in my house. I came home from work today and there were two black widow spiders on the front porch. I could handle all the other spiders and bugs, but not a black widow. That is a great idea to ask for all licenses to be sure they are going to be a reputable tech. 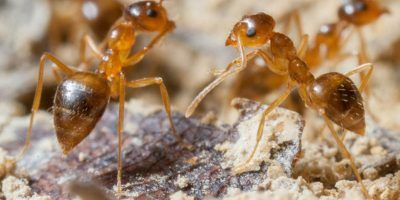 My wife and I just moved to a new home but noticed that the basement is infested with ants so we’ve been thinking of hiring a pest control company. I like that you suggest getting the price of the service in writing. I want to know exactly what I am paying and if there are any hidden fees so I’ll request that they do this. Thanks for sharing! I’ve been noticing a lot of pests in my home that I need to get rid of. It makes sense that I would want to get a professional to get rid of them for me! I’ll be sure to get a pest company to come in and take a look at my home in person so they can decide what to do. My wife and I have been looking for a pest control company to help detract spiders and bugs from coming in our house. I appreciate your tip that a good company will have an informative website we can look at. I’ll have to do some more searching for companies in our area. Thanks for sharing this post. This is very useful for me. I think this is a most useful pest control service related article on the web. Please keep it up. Thanks again. It’s helpful to know what to look for in a pest control company. We’re hoping to get someone to come and look at our basement. We think we have mice or rats, and I want them out! We’ll be sure to check for a company that has a professional website, with plenty of helpful information on it. I’m glad that you mentioned it’s important to see the types of licenses and certifications they have, and that it can show you if they know about certain laws and regulations in a state. To be honest, it could be beneficial to research and learn more about these certifications. It could say a lot about a person’s experiences, especially if they differ from each area. Plus, it seems like a good chance to learn more about pest control and the different specialties and focuses a person can have. That’s a good tip that a pest control’s website should have a guide to the pests they deal with. My home has been overrun with rodents. I think that they’re squirrels because I keep on finding nuts, but I’m not too sure because I’ve only ever heard them and never seen them. I’ll have to use your tips to find a good pest control company near me. My wife and I just moved into a new home and discovered it’s been infested with bugs. We’ve been looking into hiring a pest control company but aren’t sure where to start. I like that you suggest setting up a face-to-face meeting with potential companies so you can set up an inspection and talk about pricing. We want to make sure we get the best deal so talking it over beforehand sounds like excellent advice. Thanks for sharing! With summer here, we have noticed a number of spiders around our home. We want to make sure this is taken care of before it becomes a larger issue. Like you said, when looking for pest services, we’ll be sure to call and set up an inspection before deciding on one certain company. Our house has a rodent infestation, and we need someone to come in and take care of it. But since this the first time we have had this problem, we need help in knowing on how to choose the right pest control company. It’s good to know that we need to schedule an in-person meeting with pest control companies, that way we can know if their price will for sure match the service we need. This is really good advice. I agree with Alex. I think having them come in for an in-house inspection is a fantastic idea. Then they can have a better idea if any structure in the area will hinder their ability to complete the job and add more cost to the project. I appreciate this information about what to consider when hiring a pest control company. It is good to know that a pest control service with an informative website will make you feel at ease. It would be nice to get pricing questions answered before even speaking to a person. Finding if the service treats the specific pests you are dealing with would be another good thing to look for on the website.